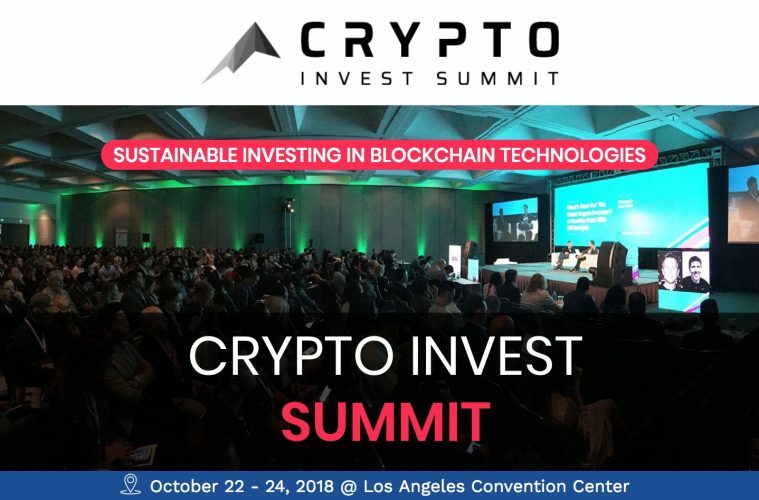 Crypto Invest Summit takes place October 22.24 at the Los Angeles convention center. This is the 4th conference that the founders are putting on. We’re working on becoming the go-to conference for blockchain and crypto powered companies to get funding to realize their projects and for investors to create an opportunity to meet and invest in the next blockchain unicorn. This CIS is going to be even bigger than the last one with 6000+ attendees, investors and fund representatives, 100+ exhibitors, 60+ ICOs and 200+ speakers from around the world. Crypto Invest Summit offers the opportunity to learn from the most successful investors and crypto startups in the blockchain space as well as for startups and investors to meet, network and make deals happen. Companies who have pitched at the last CIS went on to rais 124 million dollars. 1. Join our event community and download the app to network and make appointments before the conference. 3. Come early to the kick-off party as last year it was at capacity very early. Tickets can be bought at https://cryptoinvestsummit.io/registration, last time tickets sold out about a month before the event and sponsorship opportunities sold out even sooner. We have a very strong focus on including female and minority blockchain entrepreneurs as well as giving away free tickets to veterans and other groups who are typically underrepresented in the tech space but who can benefit greatly from access to this knowledge.